Since tennis racquet vibration dampeners are all we do - we'll be happy to take the stress out of designing your custom vibration dampener. Here's a general outline of how the process works. We provide a virtual proof for approval Your finished Dampeners are shipped to you! 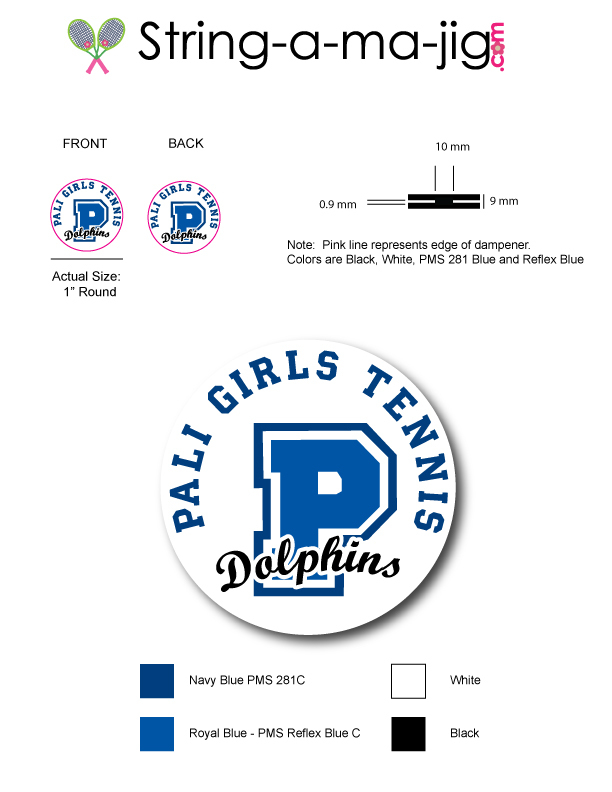 Send us your logo and any instructions regarding how you'd like your dampener designed. 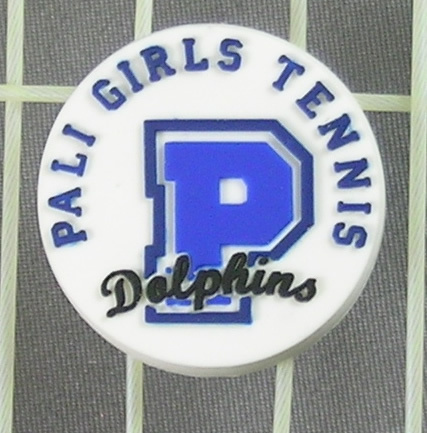 In this example the client wanted their logo on both sides of the dampener and they wanted text curved around the edges. Upon approval of your virtual proof - we will send you an invoice and payment instructions. We accept all major credit cards as well as paypal. A few weeks later, your dampeners are complete and ship to you!